Hey Mama! 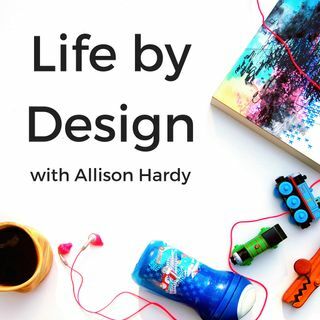 And welcome to episode #83 of the Life by Design Podcast with Allison Hardy! Today I’m interviewing live video coach, branding expert, and social media strategist Michelle Fernandez. Michelle is all about helping women network marketers and entrepreneurs develop confidence to go live on video, generate high quality prospects and turn them into sales so you can grow a profitable business. Her passion is helping you be authentically you to discover your vibe, so you can ... See More attract your tribe. Michelle’s interview is value-packed! In addition to sharing her story and insights on how mom-life and entrepreneurship merge, she lays out the framework and structure of a successful live video, offers some insights into fear and how to conquer it, and she even shares some information with us that not a lot of people know about her and her business! > Live video can (and will) help you to turn your Facebook friends from running from you at parties, to becoming red hot leads who are willing to pay any amount of money for what it is that you have to offer, because it develops the know, like, and trust factor quickly. > Michelle’s Diamond Life revolves around four main areas: career, relationship, health, and finances. If all facets don’t sparkle simultaneously, your life will be less than vibrant. > Scheduling and prioritizing our calendar makes it really clear what needs to be important, when. > Two lessons Michelle wants to teach her kids: your possibilities are limitless and you have greatness within you that you need to use wisely. > When doing video, look at the camera, not at the screen. > Start talking right away, with a smile! > Think about your live broadcast as if you are having a conversation with a friend. Use “you”, instead of “you guys”. > Tell your audience to do something as soon as you start your broadcast, this will help with engagement. > By 2020 80% of people are going to be buying from video. > You can have it all, you just can’t have it all at the same time. > Everybody is still on Facebook Live and then they reuse and repurpose those broadcast replays in other platforms. > First step to creating a highly converting Facebook Live, is writing a scroll stopping description. > Once you hit the “Go Live” button, you have less than 7 seconds to grab your audience’s attention.